My search for the perfect home for me was actually quite quick. Donna chose a number of properties to show me and I found the house in the first week we worked together. Securing financing was a bit problematic and Donna helped me immensely with that aspect as well. There were a number of issues along the way due to my personal matters but in the end everything worked out beautifully. 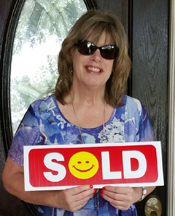 Donna has been a wonderful real estate agent and just all around great person to work with. She is knowledgeable, extremely conscientious, very helpful and always available to answer questions or provide any information you might need. She guided me through the whole process with grace and ease. Ask for Donna Montez, you will be very glad you did.